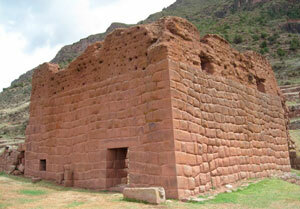 The Huchuy Qosco trek is like taking a step back in time, although never far from Cusco you wouldn’t believe it. From the outset this trek takes you off the tourist route, you’ll walk along ancient pathways and visit local communities where you’ll be immersed in the culture. On your 2nd day you’ll visit the little known site of Huchuy Qosco, a pre Inca site which was incorporated in to the Inca empire early on. This site offers an interesting mix of pre Inca and Inca architecture and is set in a beautiful location overlooking the Sacred Valley. The Huchuy Qosco trek offers a view of Cusco that few will ever see, incorporating culture and beautiful scenery and packed in to just 3 days its ideal for those with not much time on their hands. This is a unique experience that you won’t regret undertaking. DAY 1: The Adventure Begins. We will pick you up from your hotel at around 6.30am and take you up to Tambomachay (3700 meters) in the Sacsayhuaman Park. This is where we’ll begin our trek; from here we’ll head up the mountainside for about 2 hours until we reach our first pass for the day (4100 meters). 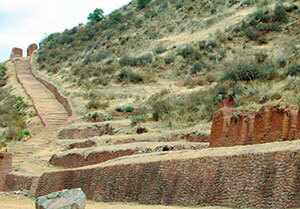 From here you’ll be able to enjoy the views of the several Inca sites and Cusco spread below you. After a well deserved rest we’ll descend in to the next valley where we’ll visit a small village called Quesser Grande before heading back up the opposite side of the valley again for 2 hours to reach our second pass (4300 meters). From here we’ll descend to Lake Qoricocha (Golden Water) and follow the edge of the lake round to reach the path which will take us to our first nights camp at Qenko village (3900 meters), this last leg will take us about an hour and a half. On our first day there is the possibility of seeing Andean geese and falcons and if we’ve lucky maybe some hummingbirds. We’ll start the day early and have breakfast (6:30am) in the village, after breakfast your guide will take to visit a one of the local families to see and experience their lifestyle and culture. Here in the mountains Quechua is the predominant language so can try your hand at learning a few phrases. After you’ve visited the family you’ll have the opportunity to buy some handicrafts and then we’ll set off for our day. Today is an easy walk; we’ll walk for 1 hour and arrive to an Inca trail which will take us to Huchuy Qosco. 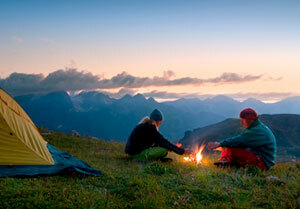 We’ll walk for about 1 and half hours through the beautiful valleys before arriving to Huchuy Qosco itself. Your guide will give you a tour for about 1 and a half hours and then you’ll have lunch here and a chance to explore by yourself. Once we are finished up in Huchuy Qosco we’ll head down to the Sacred Valley via an Inca stairway, we’ll go down the steps for an hour and a half and finally arrive to Lamay a village in the Sacred Valley where we’ll get a bus to take us to Ollantaytambo. From Ollantaytambo we take a train to Aguas Calientes (the village below Machu Picchu) where we’ll spend the night in a hostel. DAY 3: Machu Picchu wonder of the world!!!!!! Transportation – bus to start of trail, bus Lamay-Ollantaytambo and train back (Backpacker service to Ollantaytambo) and bus to Cusco. Return bus trip – Aguas Calientes to Machu Picchu / Machu Picchu to Aguas Calientes. (You need to bring water for the first morning then we will provide you with drinking – previously boiled – water).